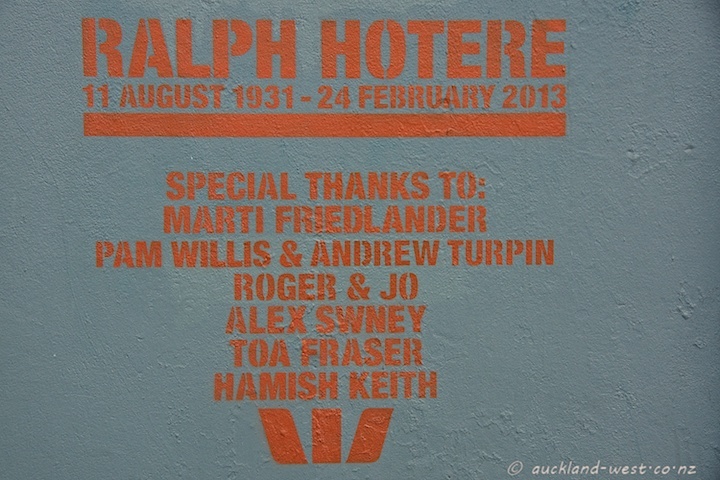 Ralph Hotere (1931–2013) was a significant New Zealand painter who died February 24, 2013. 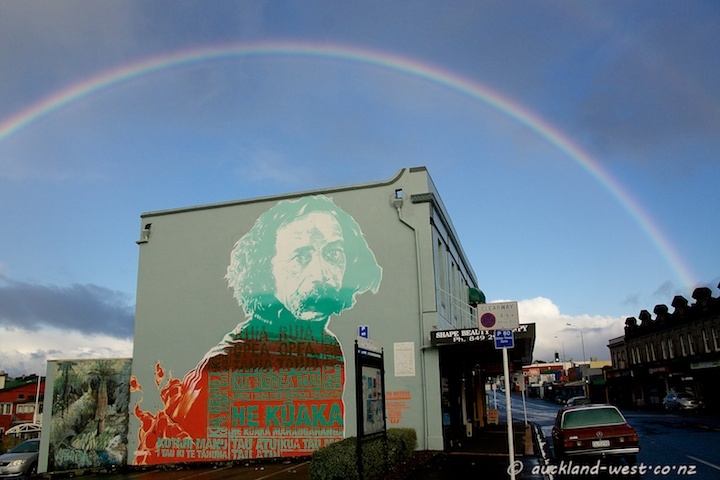 This mural tribute to Hotere, painted by Askew One (Elliott O’Driscoll) in March, was funded in part by crowdfunding. 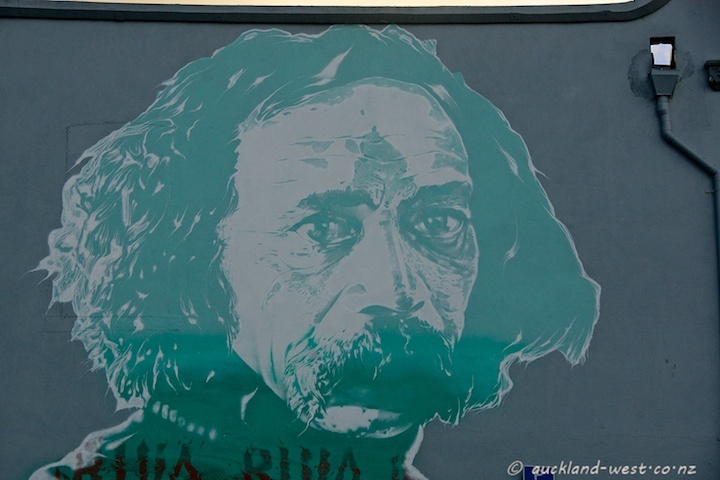 The portrait is based on a 1978 photograph by Marti Friedlander, the text is a traditional poem which featured strongly in Hotere’s work. 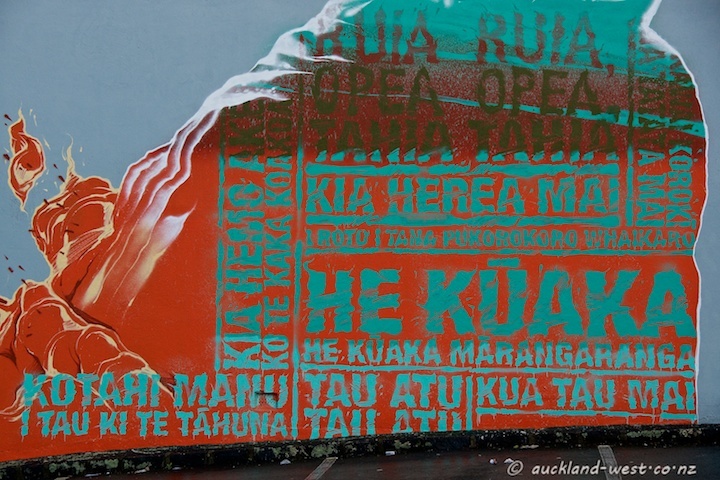 In particular, it is used in the monumental 18 metre long painting “Godwit/Kuaka” which between 1977 and 1996 greeted passengers in the arrivals hall of Auckland Airport (donated to Auckland Art Gallery when the airport was totally reconfigured). Godwit (kuaka) are migratory birds which breed in Alaska and spend the northern winter in New Zealand/Australia, travellers extraordinaire.